The country has the potential to turn its current economic situation around. 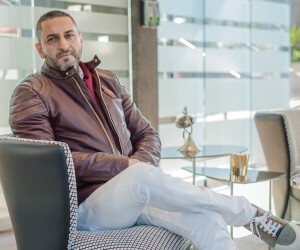 As the Moti Group prepares to double its investments into Zimbabwe following the removal of Robert Mugabe as president last year, Executive Chairman of the Group, Zunaid Moti, feels confident that the country has the potential to turn its current economic situation around. Working in partnership with Sakunda Holdings, a Zimbabwean company, Moti plans to invest $250 million over the next four years in projects ranging from chrome-ore mining to fertiliser, diamond polishing and pharmaceuticals. The group has already invested about $250 million to date, mainly in mining. This is in addition to the Zimbabwe-based African Chrome Fields (ACF), which mines and processes alluvial chromite ore along the Great Dyke Region. “I saw mining as an investment, and coming from a property development background, I wanted to have something different. I think just being in Africa gives you a good chance of being successful, certainly more than anywhere else. We started a chrome operation, Kilken Platinum, where Kilken purchased tailings from RustPlat, processed the tailings and sold the resultant concentrate and platinum group metals back to RustPlat,” Moti explains. The ACF operation involves strip mining of the chrome enriched valleys, based on extensive geological prospecting, and the plants are designed to be semi-mobile with a Life of Mine (LOM) of each between three to five years on the current plant design capacity. A low-grade deposit that previously has been considered uneconomical to mine, ACF use a configuration of a scrubber, screens, spirals and magnetic separators to liberate and extract the chromite from the -1 mm fraction. The mine has a total of four dozers to assist in clearing and rehabilitation, 15 prime-movers (excavators), 38 rigid dump trucks (RTT), six articulated dump trucks (ADT), and these are all supplemented by numerous support vehicles, such as fuel bowsers, water carts, graders, and light duty vehicles (LDV)s.
“We are also responsible for maintaining 82 km of road; and we also assist in maintaining the main road between KweKwe and Mvuma up to the ACF turnoff, in conjunction with the local government. Due to this maintenance, access to the mining area as well as the farms and residential areas in the area improved significantly. The roads are much safer during the dry as well as the wet season,” he says. ACF also features six operational chrome beneficiation plants, with the seventh wash plant introduced to the operation earlier this year. “We are in the process of constructing an exothermic ultra-low carbon FeCr operation, which will be operational later this year,” Moti says. Moti believes that by offering the best raw material, with the cheapest possible production cost, the Moti Group will become significantly competitive in the market. “If you look at the United States, where they are trying to be more self sufficient, I think the Middle East must adopt the same principles, where they move away from oil and gas so that they can gain support from other industries. We are busy with Saudi Arabia to try and build a facility there, but electricity costs will always be the largest driver, with the cost of labour coming in second. In Saudi Arabia in particular, I think that they are turning into a more modern country, more liberal and they are starting to diversify from their traditional income supply,” he says. ACF, who employ 1 200 people, are now planning to boost production through the use of small-scale miners. “Our company, Zimbabwe Motivation Mining will provide these miners with some additional equipment and safety gear, and pick up the product with our trucks, where we will pay them cash,” Moti says. While the mine plans to increase production to 65 000 tons by October, it could potentially boost the combined production to 140 000 tons, if Zimbabwe Motivation Mining works. “We aim to assist miners and small operations, helping them to monetise the value for raw materials and assist with their cash flow. Where we provide the know-how, training and safety information, we will also deploy a large number of trucks to pick up materials. We will also supply them with bags and small equipment, and assist in helping them establish a mining plan. Safety officers will be on hand when picking up the material and we will test it immediately with a portable spectrometer. By paying these guys in cash, they have cash flow, and the material will be sent to ACF where it will be beneficiated at a primary level, packaged and sold through our beneficiation programme to markets in the Far East and Europe,” he explains. The group has partnered with the government in the Command Agriculture programme. Together with Sakunda, it plans to ramp up fertiliser production and may even export to South Africa (SA). Other plans include a diamond-polishing facility in the capital, Harare, and a plant to start manufacturing generic drugs to supply the country with cheaper medication. ACF has built a solid reputation based on rapid efforts to rehabilitate areas surrounding the mine. With an official approved rehabilitation programme in place, management regularly meet with stakeholders in this regard. This programme includes the harvesting of indigenous seeds/seedlings, the establishment of a nursery and the revegetation of rehabilitated areas. Even more impressive is that mining and rehabilitation operations occur concurrently. “Our rehabilitation process sets us apart from other mining operations because of our quick turnaround time. We do concurrent rehabilitation, to a large extent through the utilisation of return loads to return tailings and oversize discard back to the mining area,” he says. Where practical, the larger trees are left untouched to accelerate re-establishment. When it comes to their processing of the alluvial, three products are yielded: a saleable chromite component, as well as a course, and a fines discard fraction. The course is returned to the mining area on return loads, but the fines discard fraction is captured in ponds and returned upon cleaning of the dam. Ultra fines are also collected in ponds, and following dewatering returned to the mining operation. “Due to the increased activity on the mine this means that the poaching activity in the area has declined significantly. The animals on the conservancy have also adapted very well to the mining activity and have not left the conservancy. In fact, all indications are that the animals thrive and are breeding very well,” Moti says. There is also a significant difference in the fertility of the chromite-bearing areas versus the non-chromite bearing areas, and by removing the chromite, the carrying capacity of the soil has been improved. “We understand that the removal of all the topsoil, along with the vegetation and alluvial bed has a significant immediate effect on the environment and that re-establishment of such an area takes time. Returning of the oversize/discard takes place over a relatively short period of time, but the fines component lags due to the necessity to dry these in the dams before transportation back to the mining void. Replanting of trees and vegetation can also only take place once the fines component is returned. Therefore, the complete process of the rehabilitation cycle will also vary from plant to plant as some of the oversize is used to construct dams, and these will only be available on plant closure,” he explains. Rehabilitation is part of the mining operation and under the direct control of the Mine Manager, who is supported by the environmental department and who ensures that there is a well-stocked nursery, which focuses on indigenous trees and shrubs. Seasonal workers also assist in planting trees and grasses in the planting season. “When we first started on the site, no rehabilitation had been implemented which is why it is so important to us that we follow through. Continuous monitoring has been introduced to oversee the mined versus rehabilitated areas on every site, and these are categorised in the various stages of rehabilitation. The survey department also takes monthly measurements of the rehabilitated areas and plots them on the mining plans,” he says. ACF supports the conservancy through financial assistance, as well as through limited aid to repair vehicles and equipment. Regarding water treatment, water is recycled via a series of lines dams and unlined tailings paddocks. These unlined dams are used to recover the discard tailings, and once dewatered sufficiently, are recovered mechanically and returned to the mining area. ACF is busy with the installation of high-rate thickener technology that will retrieve the water directly, reducing total water consumption and shorten the rehabilitation cycle as the discarded tailings will be dewatered in a much shorter timeframe. “It’s also important to note that the only emissions from the mine are due to the operation of the yellow goods and generators. Care is taken to operate this equipment within the OEM fuel consumption ranges; the company also purchases only high quality 50 ppm fuel (diesel), which also limits the impact on the environment,” he says. As an entrepreneur, Moti sees Zimbabwe as the next best after SA in terms of looking at the country as a preferred investment destination. Having spent a great deal of time operating in manufacturing, mining and agriculture, his vision for the company has turned to essential commodities like water and fruit. He questions why Africa is importing food, believing this to be an inefficient use of Africa’s resources. “Previously there has always been a big focus on energy, but people also need to eat and drink, both of which are a basic need. Africa as a continent has so much to give, it has everything, good labour, and cheap capital, and we must focus on the abundance of land and capital. People are realising that Africa is the breadbasket for the world,” he says. Moti believes that life should be about more than just accumulating things, and at the end of the day, these are things that nobody will care about when you are gone. Examples of entrepreneurship in his own family extends to his children, and his 19-year-old son is following in his father’s footsteps. “We need to breed entrepreneurs. If they are well bred, much like race horses, and you rear them correctly, they will run and achieve their goals. My son is an entrepreneur with his own container manufacturing business, he is already in a position to buy his own assets, and he is supported by people with the same spirit,” he says. Moti would like his family to be at the head of their enterprise, but he says that this should be from a relationship perspective and not necessarily in managerial roles. “They need to carry our name with banks, suppliers, etc. They don’t need to be attorneys, bankers or accountants but they must keep these good relationships open. I believe that children can only learn entrepreneurial skills at home, it’s an important ideology to instil in them as part of their development, and it is necessary if we want to carry our wealth over to this next generation, knowing that they will be able to sustain it,” he says. Looking at the current climate in SA, Moti believes that there are also some compliance issues in SA which are responsible for killing entrepreneurship. “We’re not giving them the breaks they need, and the government is currently not supporting entrepreneurship. I think white people in this country are feeling disenfranchised; they feel they have been left out, and punished for what their forefathers did. While we must condemn these actions, we must not blame the generations that have followed,” he says. According to him, there is also a significant amount of unnecessary bureaucracy, compliance and red tape facing anyone who wants to start a new business. When it comes to prospects for like-minded people, Moti suggests that lithium and cobalt are going to be part of our future when it comes to energy requirements. “I think there are a vast number of untapped resources, especially in Zimbabwe. I personally don’t like to do too many projects; I don’t like to diversify my mind too much. Instead, I think it’s only fair to give other entrepreneurs a chance to look into them. Once we have finished with the capitalisation of African Chrome Fields, we may start to take a look at lithium and cobalt,” he says. The Moti Group, most recently criticised by some media for its decision to take on British politician, Lord Peter Hain as an adviser, has been linked to a number of controversial media reports in the past. “I am extremely honoured to have Lord Peter Hain on board as an advisor as he is a man I, myself, admire and can learn a lot from. In the past, the approach I took to media was to ignore them and deal with them on an adhoc basis. However, I have come to realise that you need to have consistent communication with the media that is fair in its reporting to get your views across and that approach is now holding myself and the group in good stead, with people taking care of our public image to avoid adverse destractions,” he says. Moti grew up in Potgietersrus, now Mokopane, and often money was tight. Motivated from a young age, he excelled at school and received a bursary to attend St Albans College in Pretoria when he was in Grade 8. Attending school during apartheid, he jokes about the culture shock: “I had never seen so many white people in one place. “We may not have had a lot of money then but, together, we had hope. And with that hope we went to various schools, where I always had aspirations of how I wanted to do things, it’s easy to quickly forget in life that your parents have to pay a lot in school fees and so it’s important to work hard in school,” he says. “St Albans was a little intimidating. It was very difficult to understand the system, the culture, and even their sporting where everything seemed to be about sport. After that, I went straight to work and was involved in various businesses. There was an industrial waterproofing business, where I really started to learn about accounting, and from there I started getting involved in property and development,” he says. Moti remembers one of his first projects in Pretoria, where he was faced with his first builders strike. “I was driving a Nissan Hardbody at the time, and I just remember saying ‘hold on, let’s talk about it’. I realised then that I did not want to do this for the rest of my life. Everything from the smell of the building site bothered me. From there I went into the business of filling stations, from buying them to operating them, and I eventually sold them and went into property,” he says. 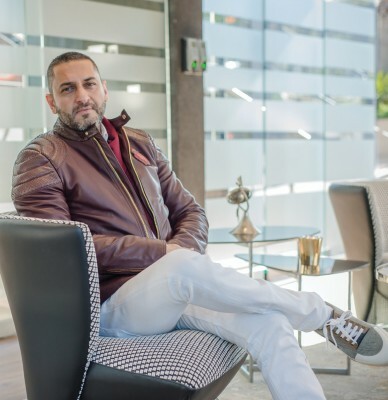 It was Moti’s love for luxury sports cars that inspired him to create FutureFin finance, a concept he later sold to ABSA who changed the name to Bankfin. Allowing consumers to buy luxury cars with very affordable finance, the product was later taken over by WesBank. For Moti, the most exciting part of his career today is teaching the second generation how to keep the legacy going. “I’m training them to be cost conscious, because while you can have the best people employed to run your business your children need to be there too. They are the next generation, and in my lifetime I’m happy to give them the benefit of a good life. I think that this is important in that, when I’m gone, they will not be moved by money. My job is to give them the gift of entrepreneurship, because to me, in business, the best gifts are your human capital and relationships. If you have these the money will come after,” he says. Moti says he often sees his son silently learning from him in the background. His son has also been put in charge of family finances, and according to Moti, he runs a very tight ship. “I am very proud of what he has achieved so far; his business is innovative in that they are currently manufacturing deployable franchise systems that can be used for takeaway food outlets, but also schools, offices and low-cost housing. He also has a lot to learn when it comes to cash flow. But this is the little empire we are building, it’s always interesting and not a golden cage. We are very much opportunity driven, and I am the only person in the company who manages finances to ensure we always pay the best price possible,” he says. Moti believes that it’s very easy for people to forget about money when they have it, but for him, it’s not just about making money, but making sure that money can be stretched.